change your message with your mood! 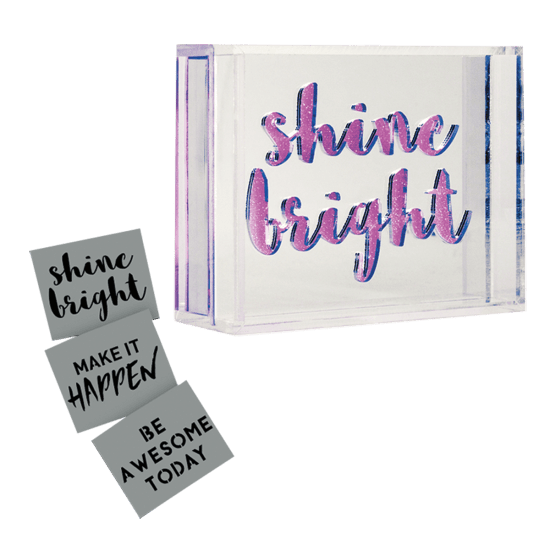 Our multi message acrylic light box comes with three interchangable mirrored sayings: Shine Bright, Make it Happen and Be Awesome Today. This acrylic box with pink LED lighting would make the coolest addition to any space. A fun, unique gift idea, kids AND adults will love it.